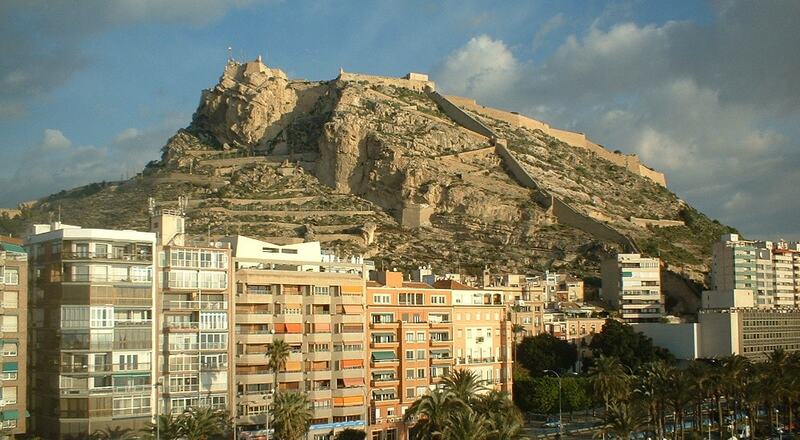 Santa Barbara Castle is a fortification in the center of Alicante, standing on Mount Benacantil (166 m high). The origins of the castle date to the 9th century at the time of Muslim control of the Iberian Peninsula. In 1248, the castle was captured by Castilian forces led by Alfonso of Castile. It was named after Saint Barbara, on whose feast day the castle was recaptured from the Arabs. From the 18th century the military role of the castle has declined and it was used sometimes as a prison. The castle remained abandoned until 1963, when it was opened to the public. Lifts have been installed inside the mountain or there is the possibility to walk to the top.